It's early morning in New York and Mike has a flight to catch for an important afternoon meeting in LA. With a few minutes left, he opens remi™, checks in to his hotel and orders lunch to be delivered in his LA Guestroom by 1pm. En route to the airport he sends a message through remi™ to make sure the presentation package that his office sent will be waiting in his guestroom upon arrival. He takes his phone off airplane mode upon landing in LA to find his room is ready and his package has been delivered. Realizing he forgot his hair gel he opens up his remi™ app and orders it. At the hotel, uses the remi™ app to unlock his guestroom door, finds his room service, presentation package and hair gel waiting for him. 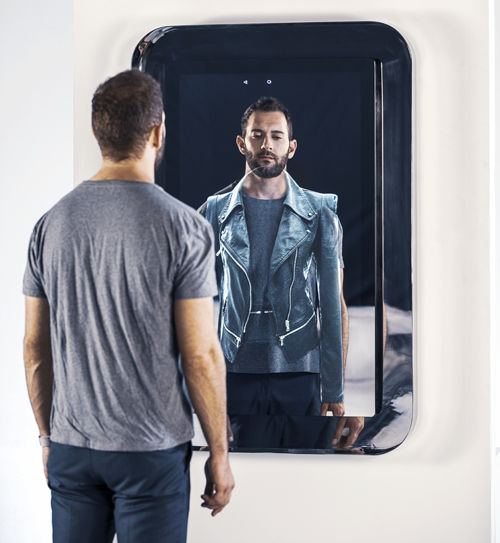 He realizes he forgot to pack a shirt for dinner so he goes to the remi™ mirror, selects shopping in the navigation bar, chooses a shirt and manipulates the size assessing it in the mirrors reflection. He makes his purchase with the touch of his finger on the remi™ mirror. His meeting goes well and finishes earlier than expected. On his way back to the hotel, remi™ assists him in creating afternoon and evening plans. 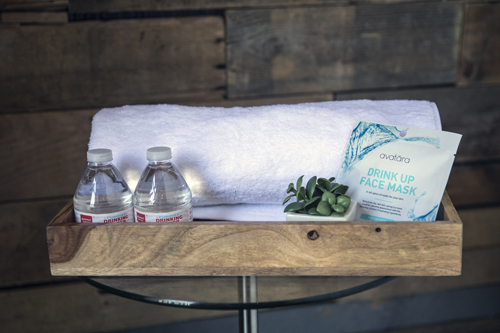 He orders a virtual yoga class and yoga mat to his guestroom along with an extra towel, bottle of water and roasted almonds. He sees in the hotels “on-site events” that there is a happy hour on the rooftop, so he makes a plan to go there before his remi™ reservation at a nearby steak house. He chooses, and pre-orders the perfect breakfast for the next morning. In the “nearby events” section of remi™, he sees his favorite band is playing at a local venue the following day. Through remi™ he books a ticket and adds another night’s stay to his reservation. 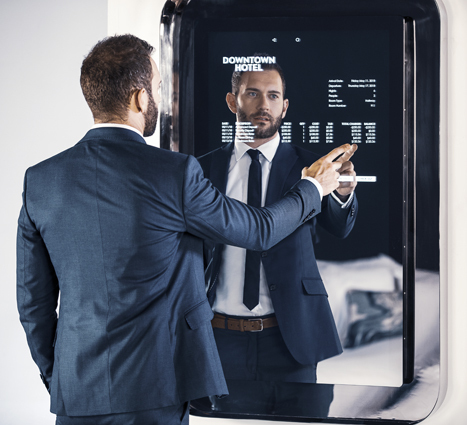 Upon checking out of his hotel through the Smart Mirror, and for his safety, all of his personal information will be immediately removed from the tablet and mirror.